Republican representative Glenn Grothman of Wisconsin said at a town hall in his district last week that constituents should monitor purchases made with debit cards from Food Share, which is Wisconsin’s name for the federal Supplemental Nutrition Assistance Program. Grothman told the people in attendance to “keep an eye on the types of things people on Food Share buy at the grocery store,” because you know those people who are poor aren’t really poor. They are just lazy and we’re gonna catch’em in the act. Ok, I added that last part about catching them in the act but that’s exactly what he was inferring and it adheres to his political party’s current attitude on this issue. The less fortunate and the working poor are constantly getting demonized by conservatives. There’s been all kinds of false narratives and urban legends passed around as truth for a long time. 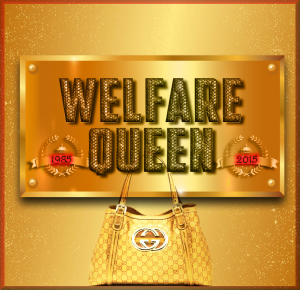 Everyone has heard the one about the welfare queen in a long fur coat wearing expensive jewelry with a grocery cart full of steak and lobster reaching her freshly manicured hand into her Gucci handbag and pulling out her food stamp card to pay at the register and then walks to her Mercedes to load up all of her government handout ill-gotten groceries. THIS IS THE STORY THEY USE TO JUSTIFY CUTTING PROGRAMS THAT HELP THE POOR AND NEEDY WHILE GIVING MORE TAX CUTS AND FINANCIAL INCENTIVES TO GREEDY CORPORATIONS. Of course there are people who game the system but it’s a very very small percentage out of those who honestly need help. If the program helps 100,000 legitimately poor down on their luck people and is gamed by 1 out of that 100,000, what kind of sense does it make to cut the funding of the 100,000 because of the actions of 1? Don’t be fooled by this people. And drug testing those who receive government assistance is just one more way to demonize the poor. If you look at the stats for government food assistance programs you’ll see that a large majority of recipients only uses the food assistance for less than 1 year. That means most of them were between jobs and fell on hard times, which is very common among the working poor. They aren’t strangers, they are your friends, your neighbors, your parents, your siblings who are just trying to feed their children and make it through one more day. They are not drug addicts, welfare queens, or freeloaders. Anyone could end up in that position, and if those who turned their noses up at those who needed help end up needing government assistance themselves, I hope and pray that government program is still there to help them in their time of need even though they had no sympathy when the shoe was on the other foot. Why? Because that’s the country I live in. That’s the country I’m proud of. That’s the America that the entire world population looks at as a model of what a great nation can achieve. Sounds like Congressman Glenn Grothman needs his constituents in Wisconsin to remind him of that. Great blog post man! I remember reading another blog post from you that had some statistics on food vouchers/stamps and how long the average American stays on that kind of government assistance. Could you point me in the right direction so I can print them out for a friend at work who tried to tell me that most food stamp recipients are on them for their entire life, and I know that’s not true because you wrote a blog about it and you also included a source to back up everything you said. Thanks for keeping me up to date on issues that are important to our community. Sometimes mainstream media ignores these topics. And so the war on the poor continues…what amazes me is that these guys receive six figure salaries, top of the line healthcare, pensions most can only dream of and countless other government perks (hand-outs), and they only work about three weeks out of the year, yet they want to victimize the working poor. It’s as if they’re saying, these people have too much, let’s keep them down, all while they reap a pretty good bounty from the same government they rail against. Their focus should be on the Wal-Mart’s of the world; make them pay their workers a living wage and watch how fast food stamp usage decline. People are not on food stamps because they’re lazy, they’re on them because minimum wage is not enough to pay rent, utilities, baby sitters and put food on the table. Thanks for the comment. You’re right. 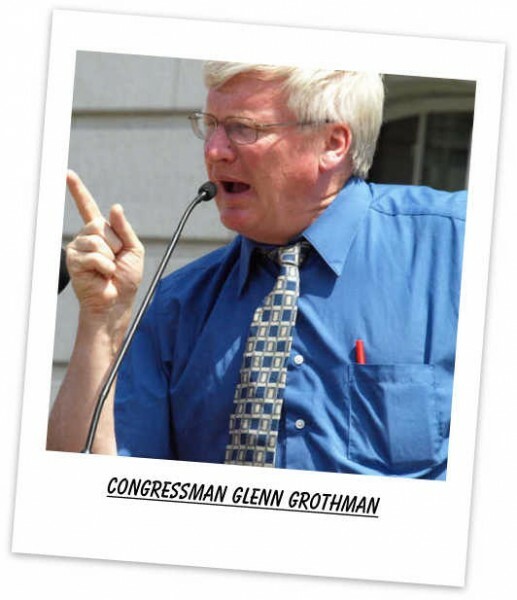 I don’t understand why the people who need government assistance still vote for guys like Glenn Grothman. Somehow they are convinced to vote against their own interest over and over again. It boggles the mind. Lawmaker’s salary, health coverage, and work days should be pointed out a lot more often than it is. It’s one of the biggest hypocrisies in our government, and that’s saying a lot.